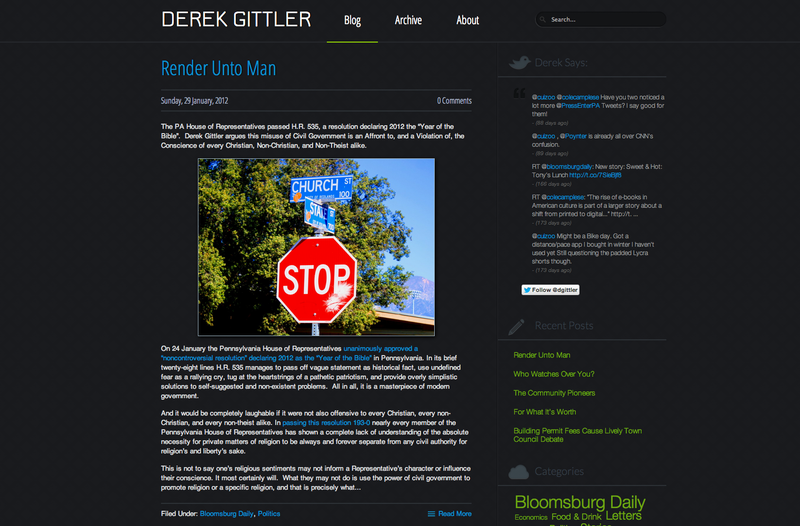 Derek Gittler came to us looking for a design refresh and restructure to his ExpressionEngine site. Cotter Interactive implemented a modern design that fit his needs. Using the power of Matrix and MX Jumper, we were able to setup a system that allowed optimal placement and resizing of images, without compromising the design of the site. 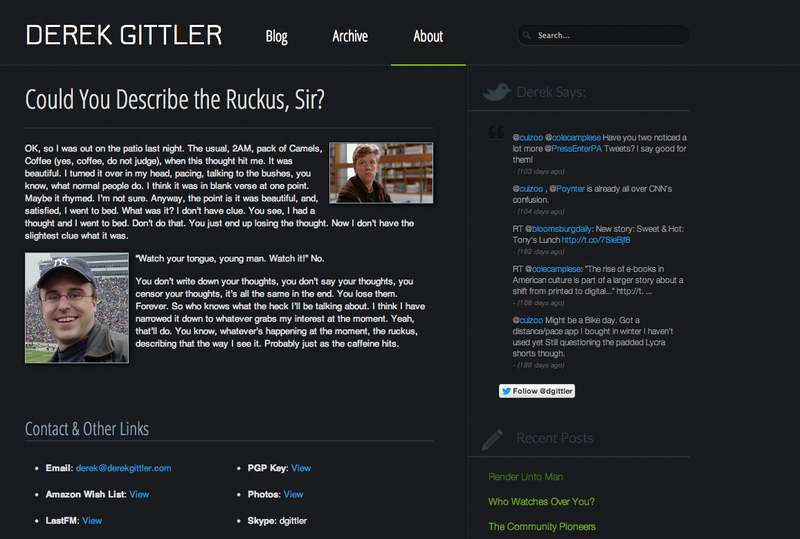 Derek wanted a commenting system that was flexible and easily integrated with his site. 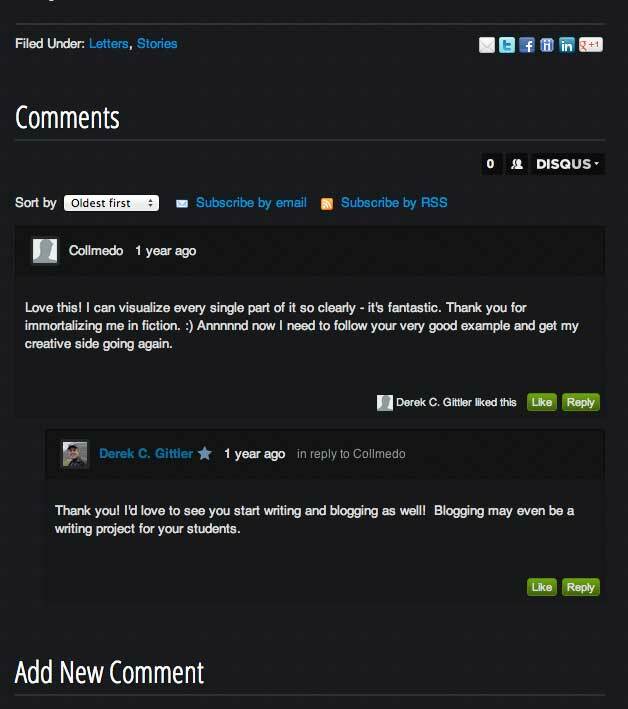 Disqus provided a flexible method for adding comments to the site. 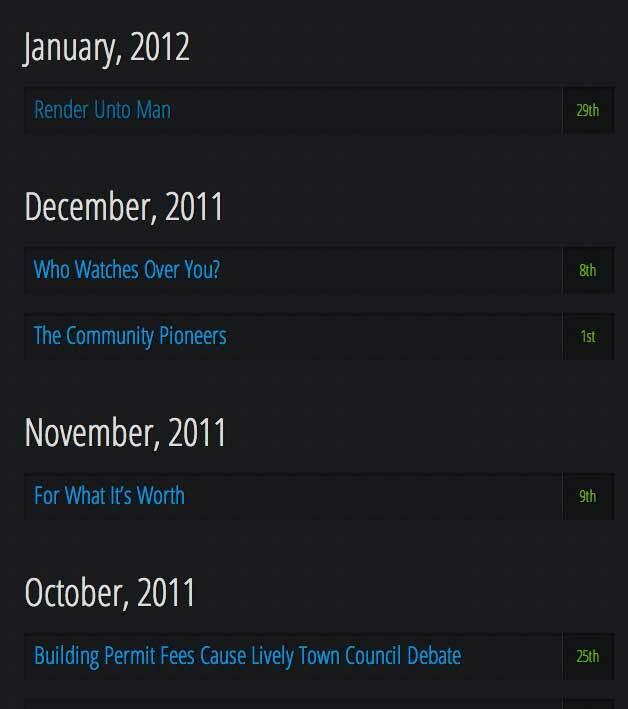 This dynamic archive page compiles entries for a given month into an easy to navigate format.